Make sure you maximize your Social Security benefit. If you’re like many retirees, your Social Security benefit represents years and years of savings and hard work, and may be part of the foundation of your retirement income. Though many Americans have some basic familiarity and knowledge on the topic, far less are able to determine — on their own — the best way to file so they are able to maximize their benefit and carefully integrate it into the rest of their retirement plan. At LFN Advisors, Inc., we help our valued clients develop a clear understanding of their Social Security benefit, and both educate and inform them on the optimal time to start accepting their benefit. According to the Social Security Administration, delaying your benefit may potentially increase your benefit amount by as much as eight percent per year. There is a lot to know about Social Security, and it is important for you to be educated so that you head into retirement with a plan on exactly how you will rely on your benefits. Our firm is committed to helping you get the most you can out of your benefit, so you can take one step closer toward the comfortable and enjoyable retirement you’ve been working so hard for! In order to ensure you are maximizing your Social Security benefit, you should have a firm understanding of this complex matter. What is your Social Security benefit amount? When is the best time to start accepting your benefit? Are there different options if you are married? Does earning additional income while you are on Social Security impact the value of your benefit? Do you pay tax on your benefit? Please contact us to receive your brochure today! LFN Advisors, Inc. and Legacy Financial Network are not affiliated with or endorsed by the Social Security Administration or any government agency. All written content on this site is for information purposes only. Opinions expressed herein are solely those of LFN Advisors Inc. and our editorial staff. Material presented is believed to be from reliable sources; however, we make no representations as to its accuracy or completeness. All information and ideas should be discussed in detail with your individual adviser prior to implementation. 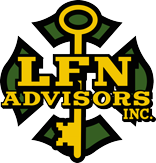 Advisory services are offered through LFN Advisors Inc., an SEC Registered Investment Advisor. Insurance products and services are offered through Third Generation Develpment, Inc. dba Legacy Financial Network, an affiliated company. LFN Advisors Inc. and Legacy Financial Network are not affiliated with or endorsed by the Social Security Administration or any government agency, and are not engaged in the practice of law. The presence of this web site shall in no way be construed or interpreted as a solicitation to sell or offer to sell advisory services to any residents of any State other than the States in which we are notice filed or where otherwise legally permitted. All written content is for information purposes only. It is not intended to provide any tax or legal advice or provide the basis for any financial decisions. Exclusive rights to this material belongs to GPS. Unauthorized use of the material is prohibited.